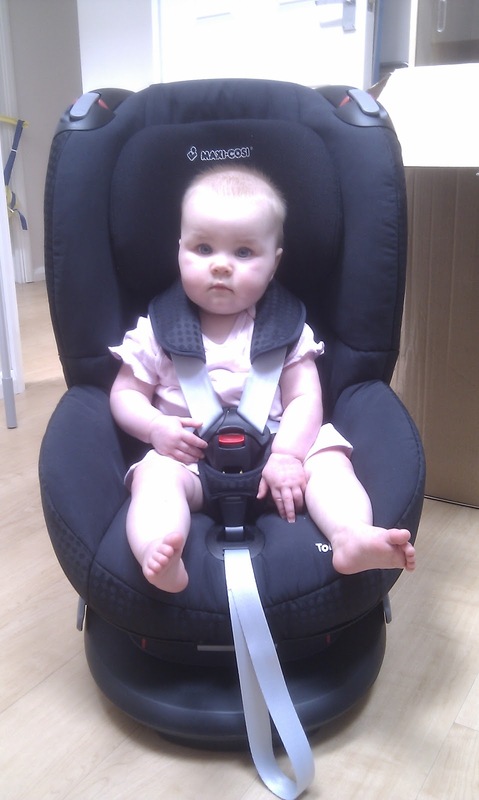 We've just bought Elizabeth the next size up car seat. She's not yet heavy enough to use it as the UK regulations state that she must be a minimum of 9kg (about 20lbs) and E is about 8kg (18lbs). I think she fits it rather well though!